We take pride in the services we offer to the Harrisburg community. Our heating and cooling maintenance services are a very important part of our business. We are proud to be a top local HVAC services provider. A little routine maintenance can make a huge difference. This is the difference between an efficient heating and cooling system and one that wastes energy and money. 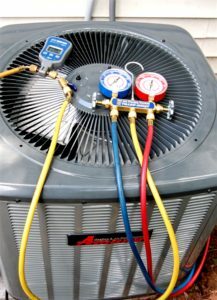 Taking the time every year to make sure your system is in good condition is worth the time, money, and stress that come with unexpected breakdowns.You can count on our heating and cooling specialists to make your life easier—when it comes to our work, our prices, and our employees, you’ll always get the best! We provide Automatic scheduling for the Preventive Maintenance. We provide Professional Cleaning and Inspection of your Heating and/or Air Conditioning system. We provide Priority Service – 24 hours – 7 days a week. We provided a 15% discount on any service or repair calls performed during regular business hours. No overtime charge for any emergency heating or cooling service. You save on diagnostic service charges. Your Home Comfort System is more efficient. Extended life expectancy of your HVAC System. Annual maintenance is required in order to keep the warranty valid on newer equipment. Maintenance minimizes extensive repairs needed. Knowing you will have someone to call when you have a problem with your HVAC System. Inspect condenser coil and evaporator coil when accessible. Replace or wash standard air filters. Inspect and adjust all drive belts and pulleys. Test humidifier operation and set damper, switches, and valves. Clean heat exchanger(s),burners and pilot assemblies. Vacuum clean all combustion, flue, and blower compartments. Adjust all main air dampers. Electronically test for poisonous deadly carbon monoxide gas. Test for gas leaks at furnace. Don’t wait until it’s too late! Call us today to make sure your heating or cooling system is working properly. We’re here to help you by offering free estimates, flat rate pricing, and 24/7 emergency service! To learn more about our plumbing, heating and air conditioning maintenance options call us today or contact us online.